COLDWORKER is a Swedish death metal/grindcore band. The band came to existence about a year after Nasum tragically called it the quits. Drummer Anders Jakobson started looking for members for a new grinding band. After posting in his blog at Nasum.com, Anders Bertilsson (of Ruin) - vague acquaintance to Jakobson - offered to play the guitar in the band. At the same time bass player Oskar Pålsson (of Relentless) was looking for a session drummer for a possible solo demo. He asked Jakobson who informed him about the new grinding band plans and the two ideas were quickly merged into one. The three members started to send riffs back and forth building up a small library of ideas. The first rehearsal took place a few months later. The band continued to write songs and do rehearsals the following weeks. A decision to add a second guitar player was taken and the band announced for a fourth member in Jakobson's blog. It did not take long for the band to wait, as André Alvinzi (of Carnal Grief) answered to the call, and joined the band as the second guitarist. As the fourth songwriter in the band, Alvinzi rapidly added the last piece to Coldworker's puzzle of sound, introducing some more technical riffs into the grinding death metal. Time passes, and later on the band's name - Coldworker - is announced and later in April Joel Fornbrant (ex-Phobos) joins the band on vocals. As a five-piece the band continues to write and work on the songs for the coming debut album. 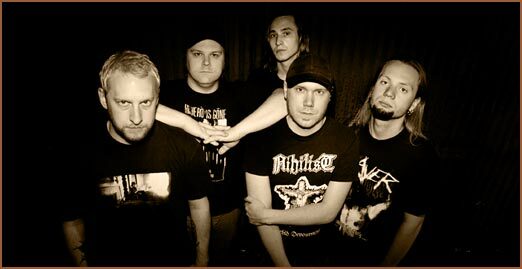 In June 2006 Coldworker did it's first show together with Gadget and Radioskugga and then immediately started recording their first album "The Contaminated Void", which will be released October 31, 2006.